This isn’t new (the pictures are dated 2009) but I just found out about it. 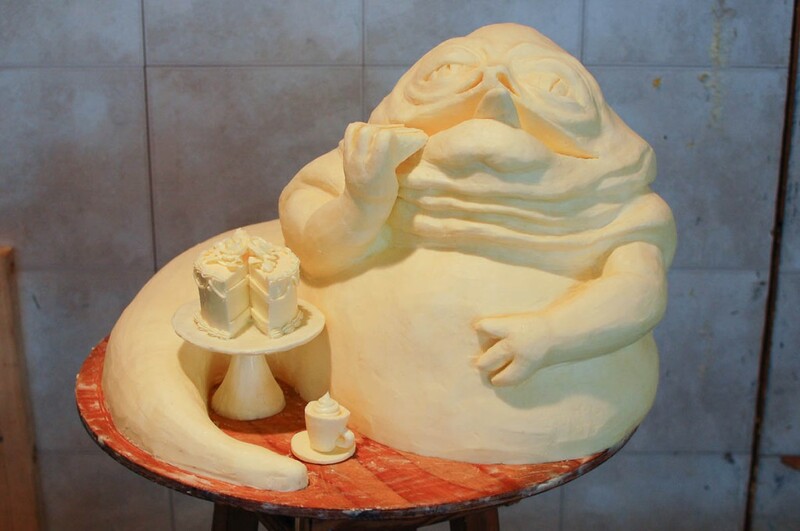 How awesome is this butter sculpture of Jabba the Hutt eating a piece of cake? I’d love to have a version of it in a more permanent medium. Click through to her site for more pictures.